Make an extra $200 or more per month? Replace your income to quit your job and work from home? 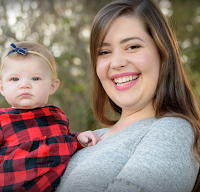 Make enough money to stay home with your young children? Then being a virtual assistant may be for you! Can't wait to get started? Purchase the Virtual Assistant eBook now! Hi! I'm Heather! And I would like to help you live your best life! Are you feeling overworked and overwhelmed and wishing you could spend more time with your family? If so, I truly understand! I gave notice to quit my job in 2015 - giving up full family health insurance and good pay - and set off, determined to find a way to earn money working from home. I've learned a lot since then, and I'd love to share that knowledge with you! Is this a legitimate income? What could I even do as a VA? These questions and more are included in the ebook. I Went From $300 to $2,500+ a Month! I assure you that if you are willing to work hard - and to work SMART - you can experience the same success I have had - or even more! I want to share my knowledge with you. I'll teach you the steps to take and things to consider as you begin your virtual assistant business. You'll learn how to find clients and how to help them when you find them. Best of all, you'll learn how to avoid some of the painful mistakes I made along the way. You'll be able to build your business much more quickly than I was - allowing you to cut back hours at your current job, cut the part-time job you hate, or to entirely quit your current job to work from home! Are you still trying to decide? If so, I get it. There are so many false promises out there on the internet these days, and it's only smart to have a "Buyer Beware" kind of attitude. Good news! I'm happy to share some of my hard-earned knowledge with you for FREE. This way, you have the chance to find out for yourself - before spending a dime - if the VA path may be right for you. Why would I want to become a VA? What tasks could I do as a VA? Where do I find people to work with? Click here to sign up for the FREE email series now! People Have Asked Me . . .
Q: Is the Virtual Assistant market saturated? I want to make sure I'm going to find work! A: As long as there are online businesses, there will be a need for virtual assistants. New businesses start up every day, and those people need your help! While you may not find work overnight, if you put in the strategies learned in this email series and ebook - you CAN find paying clients. Q: I'm limited on time. How long is it going to take me to read this ebook and get started as a VA? A: You could sit and read this entire ebook cover to cover in just a couple hours. If you then implement what you learn right away, there's a possibility you'll have your first client within 24 hours. I can't promise this will happen, but you'll have access to your purchase forevermore, so you can reference it again and again. This is one of those times where a few hours of reading with the determination to make it work WILL pay off. Q: I'm concerned about the cost. If I'm wanting to stay home with my children, I need to save money. I'm not sure I want to spend $20 that I will just lose. A: You won't just "lose" the $20 if you take the time to read the ebook and implement the tips and ideas shared. Many people charge $20+ a month simply to belong to a Facebook group, which is part of your ebook purchase for free! As you'll see in the testimonials below, many new VAs are starting their journeys quite successfully after reading this ebook and through their own hard work and determination. But if you're still not sure, you don't need to spend a penny to get the FREE email series with tips now. 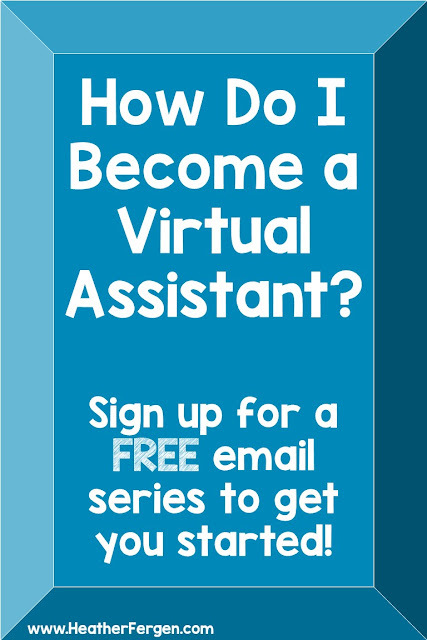 Explore the possibilities of being a VA when you sign up for my FREE email series! This book really helped me start my VA journey. I highly recommend it to anyone who may be considering this career path. 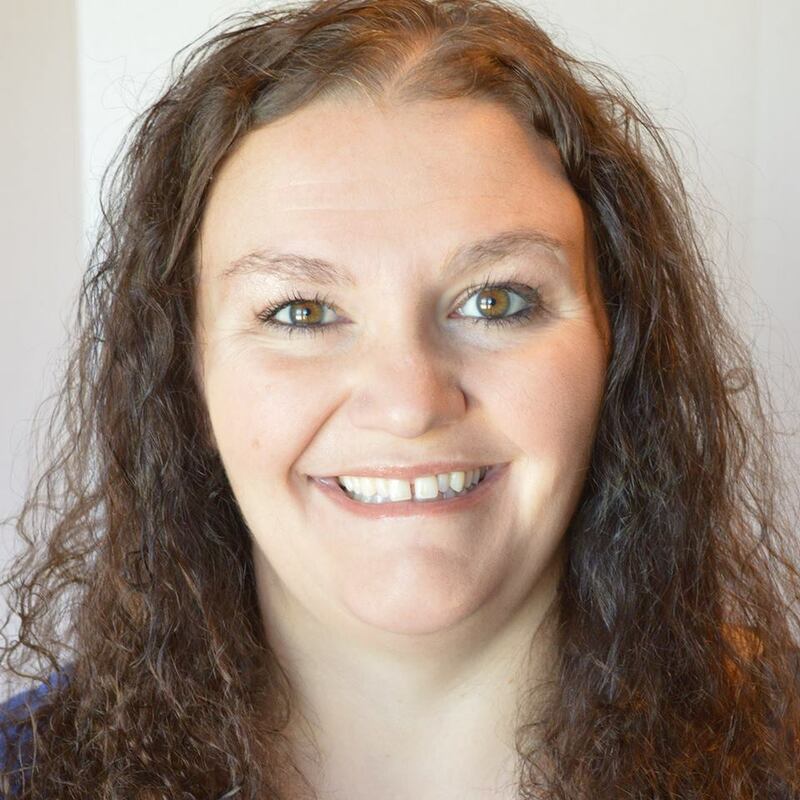 Heather Jo is SO very helpful, and provides tremendous support to people seeking VA services or looking to be hired. She has been a true guiding force to me, and I have loved being part of her Facebook group community that comes with this purchase! Stephanie even did a pocast episode on becoming a VA and how this ebook helped her with the journey. 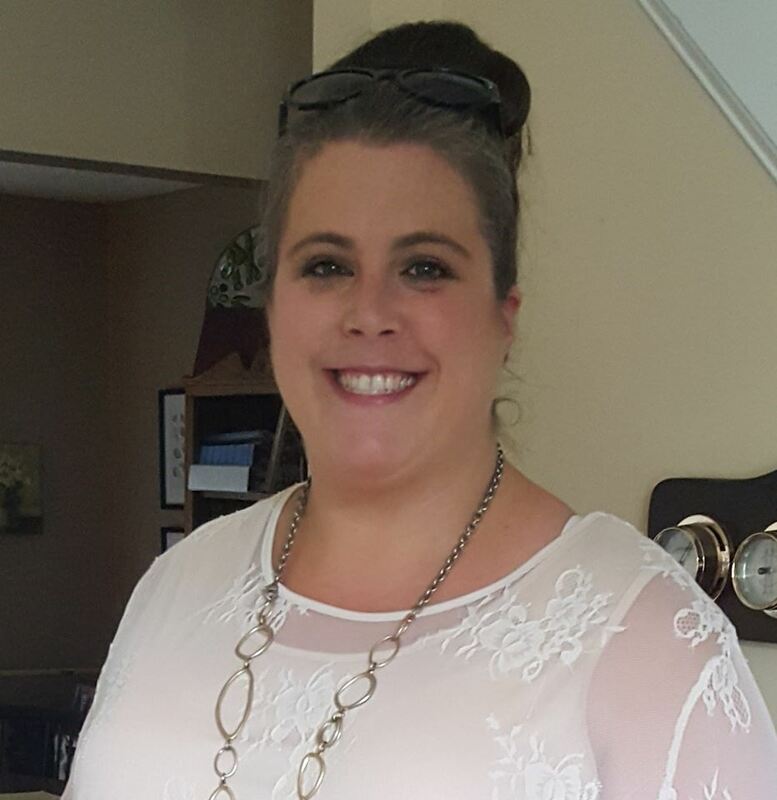 Stephanie quit her teaching job just a few short months after purchasing this ebook and starting her VA journey. You can listen to her podcast episode here. This is the perfect place to start if you want to be a VA. It is well thought out and has a lot of important things for VAs to think about. I am so glad I made this purchase. Thank you for a great product. You can see Regan's VA site here. A message from me to you - straight from my heart! As I stated above, in 2015 I learned first-hand just how short life can be. I thank God every day that I am still here for my family and can watch my beautiful children grow up. I know life is too precious and too brief to spend your time doing anything that doesn't fulfill you and make you happy. So if you are happy and fulfilled with your current job, that is probably where you should be. However, I suspect that if you were truly happy and fulfilled with your current job, you wouldn't have read this far. And if you are seeking something better, I really do want to help. I want you to have work that fulfills you, inspires you, and makes great use of your creative abilities. I want you to have work that is flexible, so you can not only be home with your kids - but have TIME for them when you are home. I want you to have a business that truly fits YOUR life and allows you to share yourself with the world in a way that brings blessings to all. Is being a VA the right path for you? Sign up for my FREE email series to find out! You CAN live the life you dream of! If you are ready to begin today, my ebook is here to help you get started on your new career as a VA. Reasonably priced and chalk full of all kinds of helpful advice (plus, it comes with some great added benefits! ), click the link below to grab your copy today! Still not sure? Check out the FREE email series to help you get started. Please pin this image to share with your friends. Thank you!